Norwegian Cruise Line's Norwegian Dawn, just came out of an extensive month long dry dock. New additions include new restaurants (new for NCL), updated staterooms, updated public spaces, new bars and lounges. The renovation was part of Norwegian's "The Norwegian Edge" program. "The Norwegian Edge" program is a $400 million investment in their fleet and their private island, Great Stirrup Cay. The Norwegian Dawn is one of Norwegian's older ships, which made the dry dock twice as long. The list of updates is long and includes an updated atrium, Stardust Theater, Dawn Club Casino, pool deck, photo gallery, library and Entourage teen space and video arcade. 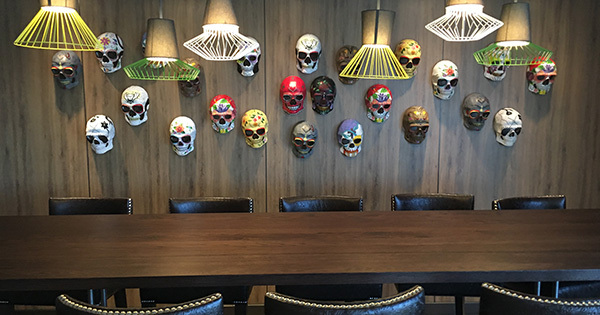 Los Lobos Cantina- is a new addition to NCL and is a new Mexican restaurant. Cabins received new flat screen TVs, bedding, carpet, furniture, drapes, and artwork. The Dawn will be home ported in Boston and sail to Bermuda. Norwegian Cruise Line's COO, Andy Stuart, said "There's now a necessity to offer passengers the type of experience where they'll rave and share on social media."